Staarsoft is here! - Tavares Group Consulting Inc.
We are excited to announce that the Sustainability Toolkit has gone digital! Over 5 years ago, Tavares Group Consulting recognized there was a lack of practical guidance available to organizations looking to implement sustainability. Organizations that were interested in becoming more sustainable were asking “where do we start?”, while those who had already implemented some sustainability initiatives were left wondering “where do we go next?” In response to this need, we launched the Sustainability Toolkit which provides organizations of all sizes, in any industry, with the guidance needed to plan, implement and manage a comprehensive sustainability program. With a foundation in our firm’s management system and corporate social responsibility experience coupled with supply chain research, the Toolkit approach has been extensively tested by organizations across several sectors. Toolkit Ambassadors, like Amway Canada and Tepperman’s, have experienced many wins using the Toolkit framework to address a variety of sustainability goals. In its original form, the Toolkit was made up of two components, a guidance document outlining our 13-step approach to sustainability integration, and an excel-based Action Plan & Assessment Tool that provides the framework for organizations to properly manage and document their sustainability efforts. We knew it could be more. In 2016, we partnered with local digital services agency, rtraction, to translate the Toolkit’s process-based approach into a sustainability planning, assessment and reporting software that helps organizations address their material sustainability issues. – Sandra Tavares, Principal, Tavares Group Consulting Inc. In May 2017, we unveiled StaarsoftTM at the Automotive Industry Action Group’s (AIAG) 2017 Corporate Responsibility Summit. Since that time, we have been gathering feedback on the software and to date we have received a wonderful response from everyone that has seen it! We are now gearing up to officially launch StaarsoftTM in September 2018, starting with a rebrand. 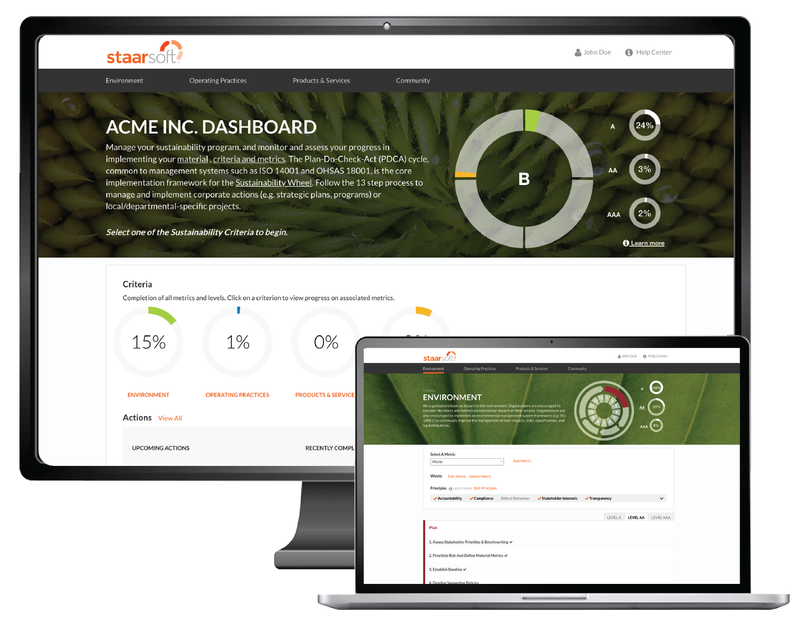 The Sustainability Toolkit is now StaarsoftTM! We have a new website that highlights StaarsoftTM’s features and benefits, and allows visitors to sign up for a demo. In addition, we have rebranded all our Toolkit social media channels, and today we are excited to announce we have launched StaarsoftTM Showcase page on LinkedIn. Stay tuned to our blog, social media channels and staarsoft.ca for updates as we approach the StaarsoftTM launch!